Hi there – Long time, no see! I’ve been wanting to get my motorcycle license for a very long time, but when I lived with my parents they always told me: “If you get piercings, tattoos, or motorcycles, you’ll get kicked out!” – this kind of stuck with me, but now I finally got it! After getting my license I was determined to get a motorcycle imidiately in order to get more experience riding and to have a building project. 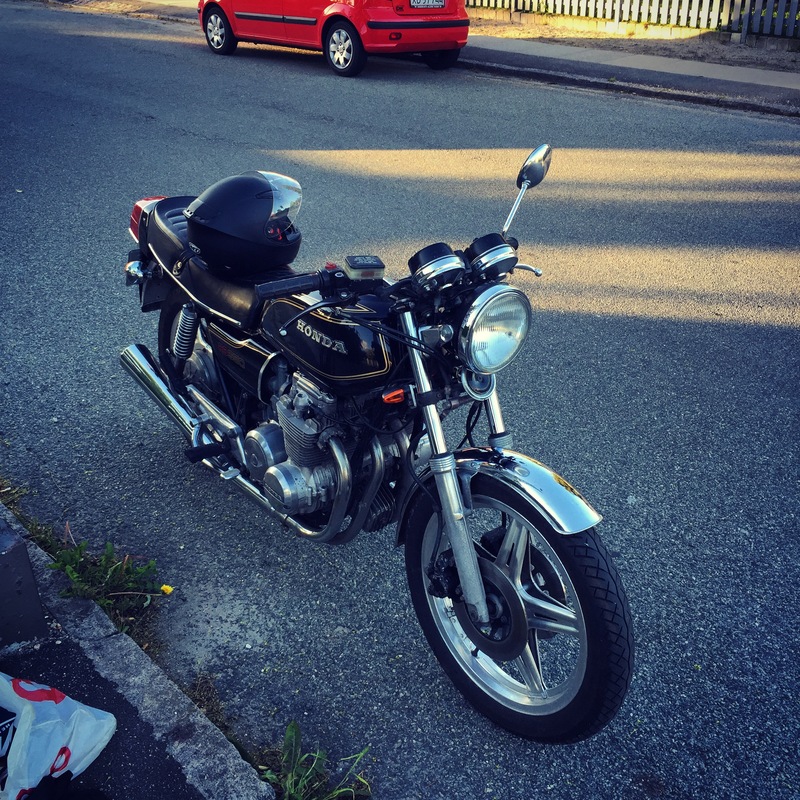 I looked at a lot of different bikes – both newer and older bikes, but through a Facebook-group I found a rather good deal; a Honda CB 650 from 1981 (or probably more likely 1979). The bike is not in mint condition but that quite okay – As I mentioned, I wanted a building project. I might change this plan continuously, but this weekend I’m planning to complete “Step 1”. Please let me know if you got any good names for my bike or any tips/tricks for my project.